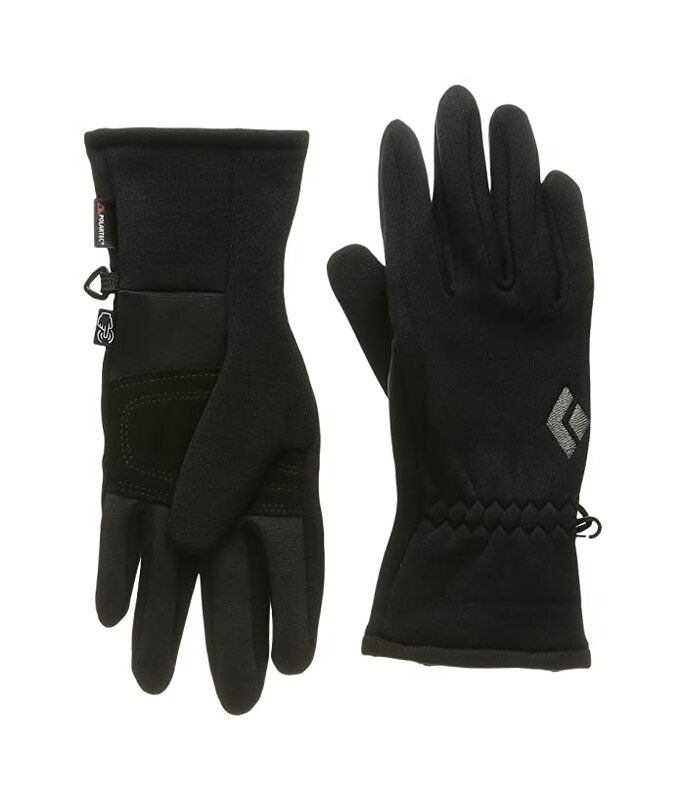 The smartphone-friendly Black Diamond® MidWeight ScreenTap Gloves let you keep in touch with anyone while still enjoying the great outdoors. Comfortable outdoor gloves offer the added benefit of full touchscreen functionality. 244g Polartec® Power Stretch Pro fleece shell. Suede leather palm patch allows for firm grip on your phone, ski poles and even dog leashes. U|R® Powered material on palm for mitts-on touchscreen use.